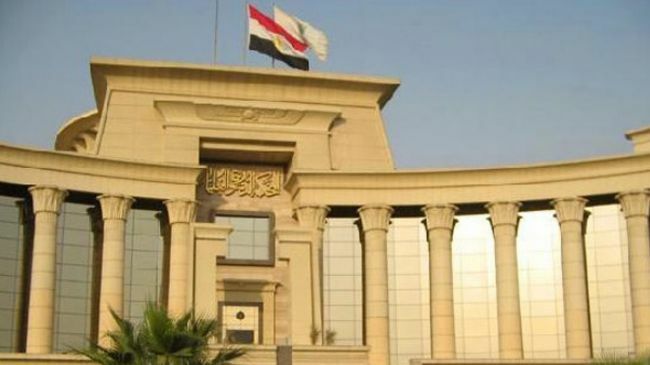 JNN 21 June 2015 Cairo : A court in Egypt’s Giza province has issued a Soft verdicts on the killing of four Shia Muslims in 2013, In comparison to the ongoing Rigorous Convictions to the Opponents of the Saudi sponsored Army Dictatorship of General Abul Fatah Al Sisi . The court on Saturday sentenced 23 defendants involved in the brutal execution of Shia leader Hassan Shehata and three members of Shia community in June 2013 to lenient sentences of 14 years in prison. While 8 other defendants were acquitted of the charges, al-Fath website reported. Egypt’s prosecutor general had charged all 31, who belong to extremist Salafist groups, with planning to commit crimes and premeditated murder. In the gruesome lynching effort on June 23, 2013, an angry mob led by the country’s Saudi-backed Salafist sheikhs torched Shia residences in the small village of Zawyat Abu Musalam in Giza, killing four Shia citizens, including Shehata, a prominent cleric who was visiting one of the families in the village when the attack took place. The Biased Court issured lenient sentences for those involved in the brutal murders were issued by the Cairo court while Egyptian judges handed down death sentences to activists involved in inciting rallies in protest at the military ouster of Egypt’s first democratically elected president Mohamed Morsi in July 2013. It should be noted that Not a Single Convict was awarded Capital Punishment ( Death Sentence ) , when it was totally proved that the convicts willfully Murdered 4 Shia Community members , including a Shia Cleric Hassan Sehata , who were only Praying in their House on the night of 14th Shaban ( Shab e Barat / Birthday of Our Present Imam Mehdi AJTF ) , while same courts are awarding Capital Punishment to the Members of Muslim Brotherhood , who won the the last elections and formed a Democratic Government Under the Leadership of Muhammad Morsi . But as the Saudi Monarchy was not in his favour , so the Chief of the Army General Al Sisi , was Bribed with an Aid Package of More than US$17 Billion , to topple his Government , which he did and till now is the Commander of the Armed force and Under his Leadership , the Egyptian Courts are awarding the Opponents of the Army Coup from Capital Punishment to Rigorous Imprisonment like Peanuts , to any body and every body who have ever dared to speak or act against the Army Dictatorship , sponsored by the Saudi Monarchy , who are tbe Main source of sectarianism across the World , and the Latest Soft Conviction of the Murders of the Shia community Members and a Cleric , is the Latest example of Sectarianism . This entry was posted in AFRICA, Jafria and tagged Army Dictatorship, Capital punishment, Dictatorship, Egyptian Courts, Egyptian Shia, Hassan Shehata, Monarchy, Saudi Sponsored, shia community, Shia Leaders, Shia Muslims. Bookmark the permalink.